I will start this review by saying that I am not a fan of masala movies except for a few exceptions but even they never had any real impact on me so when I went to watch K.G.F Chapter 1 I had little to no expectations and was even dreading going to see it and now after watching K.G.F I can say without a doubt that I was wrong and how! K.G.F is a Kannada movie that has been dubbed in four languages (I saw the Hindi dub) and stars Yash and is directed by Prashanth Neel, It is the most expensive Kannada movie ever produced with a budget of 80cr. The movie follows Rocky who was orphaned after the death of his mother when he was just a boy and the movie tells the story of how he becomes one of the biggest crime lords in the country. While on hearing the plot of K.G.F at first we assume it follows the typical rags to riches story of a hero with a heart of gold or something along those lines where he fights a bunch of bad guys, says some punch dialogues gets the girl and everything ends well but that is where this movie is unique in its approach to a tired and bloated genre. K.G.F uses these well-established cliches to its advantage. 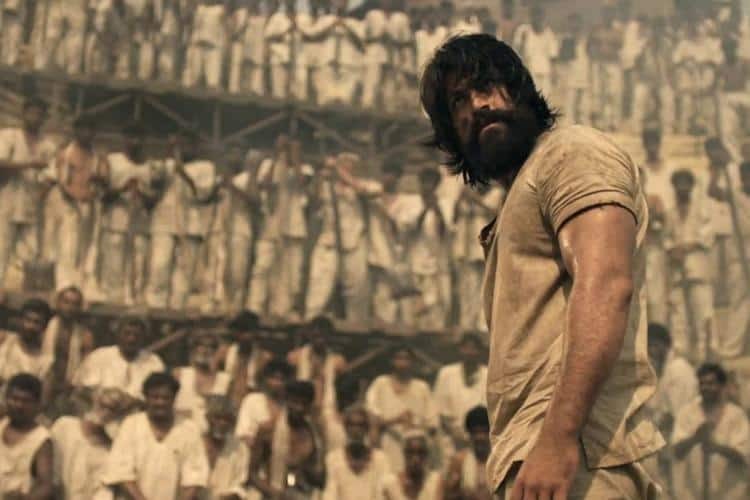 This is mainly thanks to Yash, a great screenplay and amazing direction behind it when Yash is on screen he is captivating constantly showing different shades and layers to a character type that has been done wrong so many times, he Ozzie's charm and not to mention his amazing screen presence in this movie he gives his finest performance to date. What K.G.F director Prashanth Neel has Created a genre into something that moviegoers will be talking about for a long time, the way he skillfully uses a mix of narration and flashbacks to a tell a compelling and layered story with such interesting characters is great to watch and one of the things to appreciate is the villains of this story, they are not just punching bags, these are some of the most layered and intriguing characters in the movie and their motivations that are not tied down to the hero. However, this movie is almost 3 hours long and the beginning of the second half is set to establish characters and you may feel that it is slowing down but this is not the case, the movie uses its downtime to enrich its characters and their motivations and by the time you see the awesome climax this movie offers you will be pumped. One of the stand out performances comes from Roopa Rayappa who plays Rocky's mother and she does a spectacular job when she appears in the flashback scenes that help us understand just what motivates Rocky and why he acts the way he does, with spectacular action, strong performances, and a rich and interesting world K.G.F is one of the best movies of the year and is a definite must watch. P.S Even though Hindi dubs of South Indian movies often feel like somebody used Google translate guess what? K.G.F nails that too.